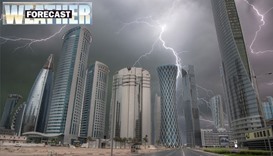 Thundershowers are expected in some places in the country Sunday, the Qatar Met department has said. 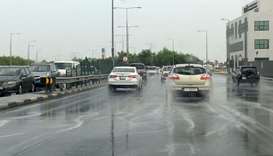 Thundery rain with sudden strong wind is expected Saturday, the Met office has forecast. The offshore forecast adds high seas too. 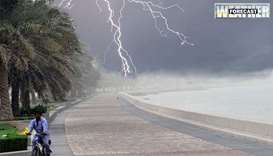 Thundery rain is forecast inshore and offshore Saturday, associated with strong wind at times, according to the Met office. 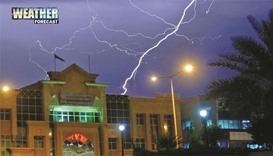 Thundery rain accompanied by strong wind at times is expected at some inshore areas across Qatar Saturday, the Met office said Friday. 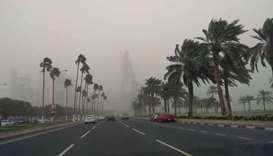 Qatar Meteorology Department has forecast chances of scattered rain, may be thundery at times with sudden strong wind, across the country from Saturday afternoon until Monday. 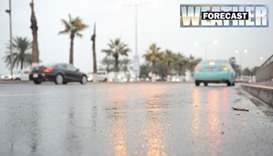 Following the scattered to heavy rain experienced at some parts of Qatar on Tuesday, the Met Office has forecast chances of light to thundery rain on Wednesday also over some areas. 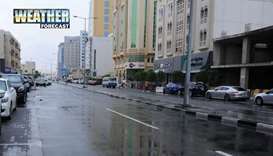 Thundery rain is expected at places inshore in Qatar at times Saturday, with a drop in the maximum temperature to 24C from Friday’s 28C, the Met Office has said.